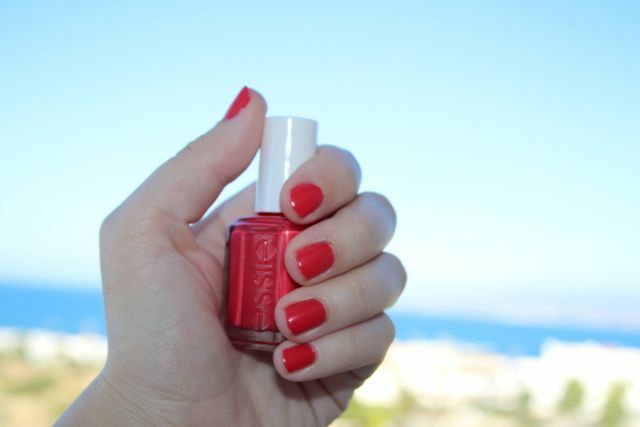 Nothing screams summer more than a bright coloured, eye catching varnish; and Essie's coral reef is my go too. Is it red or is it a hot pink? I'd say it's somewhere in the middle. It's vibrant and shiny - which adds a pop of colour to my usual monochrome outfits. One thing to note though which I found out on holiday is that if you're intensely in the sun wearing this colour it does fade slightly to a lighter pink. I personally don't mind this too much because the colour it turns into is still really nice. One thing I do really love about this is that it doesn't stain your nails (or fingers!) too much when you remove it, which can be a problem with many of the red shades that I love.